The Mississippi River as it exits Cass Lake, two miles south of Pennington, Minnesota. Cass Lake was once thought to be the source of the Mississppi by early explorers. 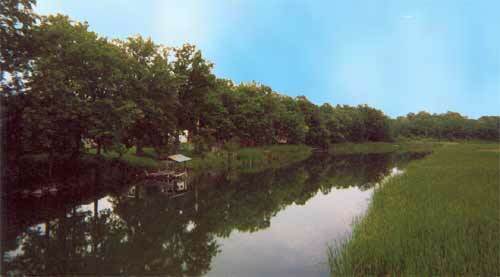 For years explorers had been trying to discover the source of the Mississippi River. In 1806 Zebulon Pike (1779-1813) determined Red Cedar Lake (Now named Cass Lake) to be the source and Lewis Cass (1782-1866) reached the same conclusion in an 1820 expedition. Giacomo Constantino Beltrami (1779-1855), an Italian explorer thought in 1823 that Lake Julia was the Mississippi headwaters. But it was not until 1832 when Henry Rowe Schoolcraft (1793-1864), with the help of his guide, Ozawindib, finally located the source of the Mississppi as Lake Itasca which was known as Omushkos (Elk Lake) by the Ojibway. Schoolcraft, who had been part of the 1820 Cass expedition, chose the name Itasca from two Latin words: veritas caput (verITAS CAput) meaning "true head." A highlight of any Minnesota vacation is to have your picture taken while wading across the Mississippi River at Itasca State Park. This fine attraction is located at intersection of Hwy 91 and 2 and was featured on the Discovery Channel for unique places to visit. 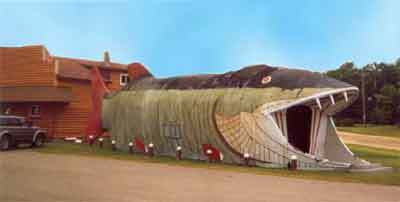 Here you can step inside the jaws of a giant fish which, at times, serves as a hot dog stand. 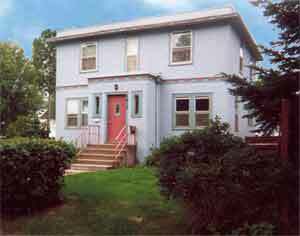 Or take an hour's drive east to Hibbing and gaze at the boy hood home of the legendary Bob Dylan. Hibbing is a fascinating town where you can learn the history of the Greyhound Bus, taconite mining and stand on the rim of what was once the world's largest open pit mine. When an avid Mark Trail fan from Minnesota asked Jack Elrod to write an episode that involves Northern Minnesota not only did she get her wish but also appeared in the story as "Babs."